Here is another Art and Zen Today Exclusive; a video of singer Mo King b’s performance at the Grammys that was deleted because he was supposedly not well received by the audience. 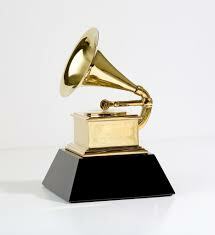 You may never have heard of Mo King b and that suits the producers of the Grammy Awards just fine. Mo King b’s music was showcased in an earlier video ( http://www.youtube.com/watch?v=tCiVNF-SfPA ) a couple of years ago and I was shocked to learn that his performance at this year’s Awards was deleted from the tape feed at the last moment. According to the producers Mo’s performance did not air because “Mo King’s performance was way too experimental and inaccessible for the Grammy audience”. 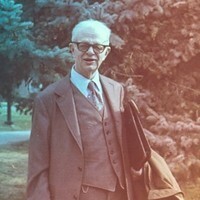 Paradoxically, Gilbert Mothworthy, of the Dronington Post wrote “b’s music was shockingly imitative and unoriginal causing many people in the theater that night to fall into an altered state of consciousness”. Click on the link below for this never before seen video of King’s short performance. For best results listen in stereo, preferably using headphones. To leave a comment, click on the white bubble at the right of the title. To make an anonymous comment, write “anonymous” when prompted for a name. You can also send comments to me directly. Today’s post features a video entitled “Haiku In Four Seasons” by James Wilson. A traditional Japanese haiku is a three-line poem with seventeen syllables, written in a 5/7/5 syllable count. Often focusing on images from nature, haiku emphasizes simplicity, intensity, and directness of expression. 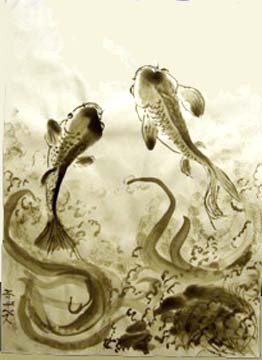 Although not all original haiku poets were Zen adherents, some of those considered to be the best were. Zen is a school of Buddhism concerned with the cultivation of a profound down-to-earth awareness of this ‘suchness’, unmediated by doctrine or other concepts. Haiku are the most thoroughgoing expression of literary Zen. 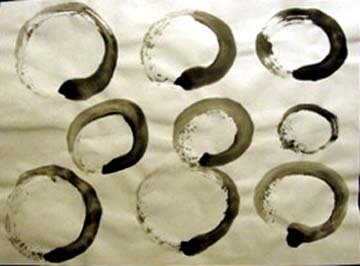 They are also one of the several meditative ‘Ways’ (like calligraphy and the minimal ink paintings, zenga and haiga) whose form both gives expression to insight and helps to deepen it. The ‘haiku moment’ is thus no less than a tiny flash of an ultimate reality which in fact is just what is under our noses. These brief poems also distill what is the essential “truth” of Zen; namely that all is impermanent. This theme is clear in the video below, which adds music and visuals to spoken words. Enjoy! 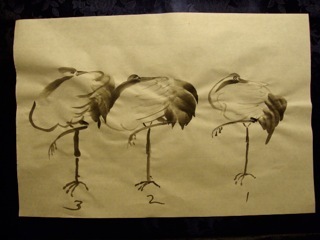 For a variety of reasons it seems that artists of all types are drawn to the practice of Zen. For this installment, I asked four other artists from the Vista Zen Center to join me in providing a pairing of poetry and visual images. 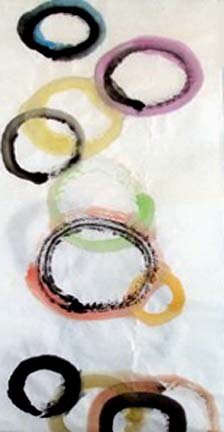 Each combination is very different from the others but each reflects the committed practice of the artist. I hope you take the time to savor each of these pairings. 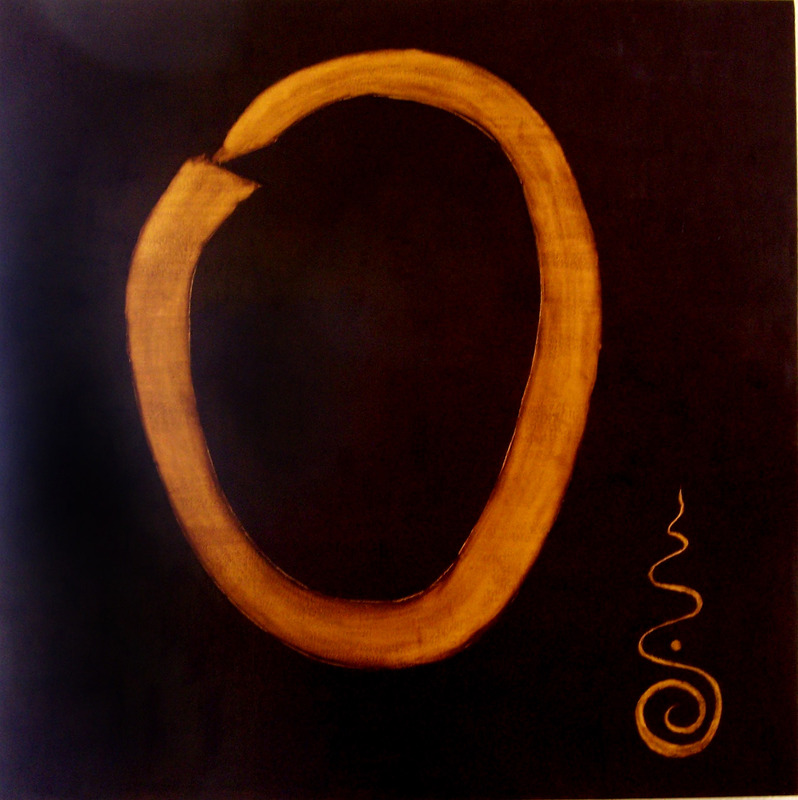 We begin with the work of Jiyu Roshi, who is the founder and teacher at The Vista Zen Center. His digital paintings may be seen at his website. for those who do not pick and choose. for those who do pick and choose. Either way Is the Way. David Clark’s blogsite “FromThe Lone Oak” is a wonderful showcase of his poetry, often accompanied by visual images. The image below was created by David on his I Pad. 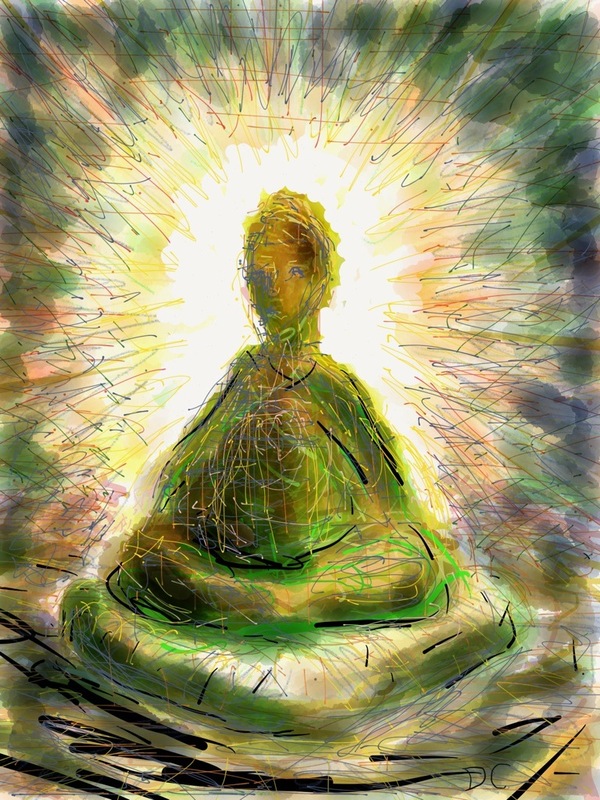 "Sitting" created by David Clark on his I Pad using "Paper 53 App"
Jane Mushinsky teaches literature at Mira Costa College and has contributed poems for various publications and poetry readings. She recently returned from Kenyon Ohio where she had won a spot at the Kenyon Review Summer Poetry Workshop. a suit i’m packing for a trip. the delicate etching of rain. http://www.vistazencenter.com/vzc-artists/jon-wesicks-poetry-and-fiction The image below was “picked and chosen” by Jon from Google Images. 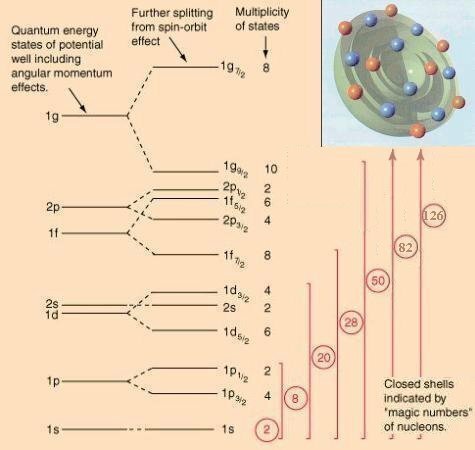 on the Absolute and relative. The proton burst into Master Neutron’s study. sending him into an excited single-particle state. looking pale after emitting a gamma ray. Steve Wilson is primarily a visual artist whose work may be seen in the Painting Gallery of this blog site. Where Do We Come From? Where Do We Go? claiming to be a visual answer to these questions. Maybe it is, but, I can’t put it into words. 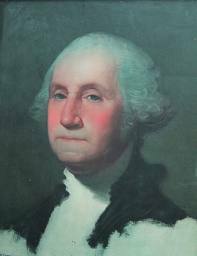 where the painting came from. Most of you remember a post from the past that looked at the interesting ways that Sean Voisen found to immerse himself in the interstitial areas between art, technology and spirituality. (See ” Art, Zen and Technology: A Visit With Sean Voisen”) Today’s post is written by guest blogger James Wilson, who is playing in the same field and looking at similar overlapping areas. 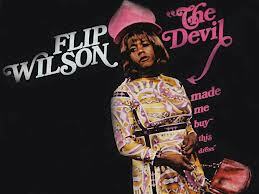 Yes this is the same James Wilson whose appearance here on earth was largely orchestrated by me in an effort to manifest a life-long playmate. (See “Aliens From Inner Space”) This is the same guy who used to give me nightmares by shaking his crib all night long in his efforts to “escape” it’s material and confining nature. He’s been rattling his crib all his life and the post below provides a look at the wondrous possibilities “beyond the crib”. When I was still a student in music school at Boston University, I became aware of what I felt to be a subtle motion, or flow, in music that nobody was talking about. It was something slow, smooth, and not a direct component of the usual suspects: rhythm and harmony. At the same time, since I was a student of composition, I was studying the theories of Heinrich Schenker and others who suggested that the great Masters constructed their music with a conscious implementation of “tension and release” within their musical structures. In other words, their compositions would build to a climax, then release the built up tension, repeat again, and so on, taking us, the listener, on a virtual musical and emotional roller-coaster ride. This was also in alignment with what I felt and heard in music. Also during this time, I was studying with a wonderful professor at Boston U., Dr. Hugo Norden, who was considered the foremost authority on J.S. Bach, counterpoint, and also on the topic of using the Golden Ratio in music, art, and architecture (“Form: the silent language”, is one of his books on the topic). 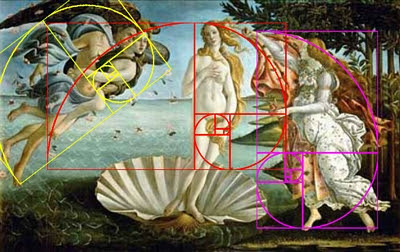 The “Golden Ratio”” (also often referred to as: extreme and mean ratio, medial section, divine proportion, divine section (Latin: sectio divina), golden proportion, golden cut, and golden number) is exactly that, a mathematical ratio, which is 1:1.618. In music, Dr. Norden theorized that it was used by the Masters (again, consciously), when laying out the form of the piece they were about to write. Basically, the idea is to lay out a piece of music as a function of time. In other words, if you plan for the piece to last, say, 5 minutes, then at minute 3:06 (1/1.618 = .618 * 5 minutes = 3.1, or 3:06 minutes) the composer would make some extraordinary event occur at 3:06 to divide the time line. This might be a jarring modulation, a loud chord, introduction of a second theme, etc. 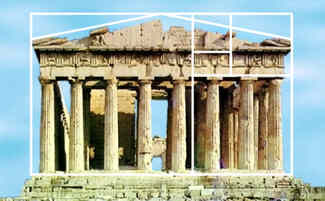 This ratio was also used heavily in architecture, especially during Greek and Roman periods, and even way before the Greeks! Often this ratio was used as the ratio of width to height, i.e. 1 .618: 1.00 = width:height. 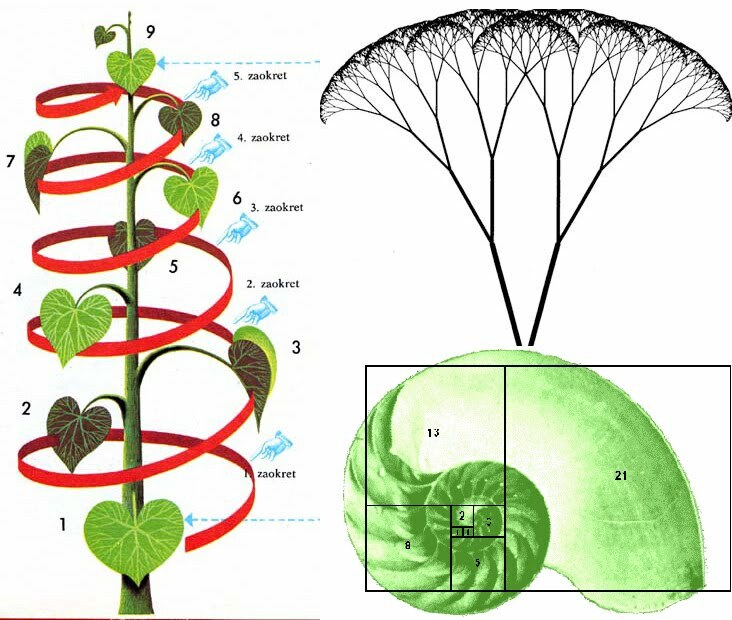 Further discussion of the Golden Ratio in nature can be found in a book by Jay Hambidge, entitled “The Elements of Dynamic Symmetry”. 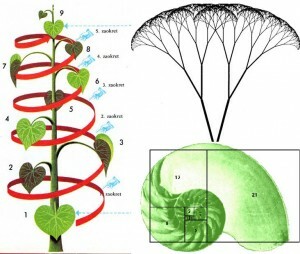 Incorporate the design principles of the Golden Ratio. BTW: For those interested in religious symbols, the key idea here is that the sine curve is formed by the circle as a function of time. 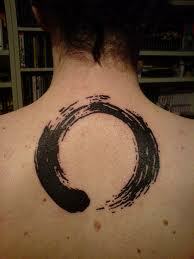 Circles commonly represent unity, wholeness, and infinity. Without beginning or end, without sides or corners, the circle is also associated with the number one. In other words, “perfection”, when brought into the flow of time = the sine curve! All this put together, resulted in my building a visual device that moves very slowly in front of the viewer’s eyes. I have named it “The Adagio”. A Video of the Adagio in action, along with a piece by Mozart, can be seen HERE. The Adagio incorporates the sine curve, as well as Golden Ratios in the dimensions of the container, and in the angle of inclination of the sine curve itself. The slow moving line can be speed adjusted to the correct “flow” of the music, and the upward and downward movement of the lighted line follows the tension and release of the music being played while you watch. As stated above, the original construction of Adagio was purely as a means to visualize motion-in-music, and to encapsulate the up/down emotional tension in music. It has done this beyond my expectations. However, almost by accident, the Adagio was used in a biofeedback study at Nova University, in 1978. It was a very well conducted scientific experiment designed to differentiate between activities associated with our right brain hemisphere, and our left-brain hemisphere. It was discovered that by activating the right hemisphere of the experimental subjects, the Adagio has stress-reducing characteristics! A summary of the study can be seen HERE. A production model constructed with readily available components. I would appreciate any comments/observations you might have. 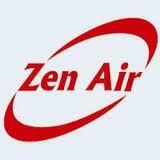 Zen tells us to wake up! 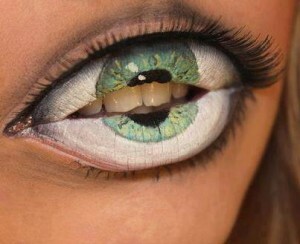 How does one do that? One way is to leave a totally familiar environment and move to a strange, new one. That’s the way I started the process-leaving almost heaven-West Virginia for heaven-Southern California. Ocean, desert, palm trees, odd flowering plants, low humidity, altered seasons, day after day of sunshine, multiculturalism, surfing, avocados, abundant wealth (seemingly). I knew 2 people-the friends I was renting from. The rest was an adventure awaiting. But first I had to fall apart. And then in the process of finding the pieces and putting them together in a new way, I came to Zen, specifically the Vista Zen Center. My son, Ryan, came to live with me and was a practicing Zen student of the San Francisco Zen Center. He had his sitting practice and I was intrigued. I was from a strong Lutheran background and had been involved in the Christian charismatic movement and later became very interested in meditation and the labyrinth, both of which introduced me to the value of silence. 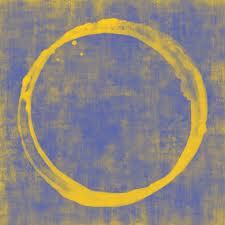 When I entered the Vista Zendo (meditation hall) for the first time, I knew I belonged. A welcoming, strong silence was present there and there were people who believed in its value. I knew this was a place where I could grow from the bottom up, and explore the possibilities that had presented themselves in my new world. The pieces began to come together. One of those pieces was art. I had been an art major for a year in college but had dropped out after my freshman year. I dabbled in drawing and watercolor a little bit in my adult life but always had a problem with being too judgmental of the work and not able to enjoy the process except for a few brief periods of inspiration. But the desire to create was there, just buried. 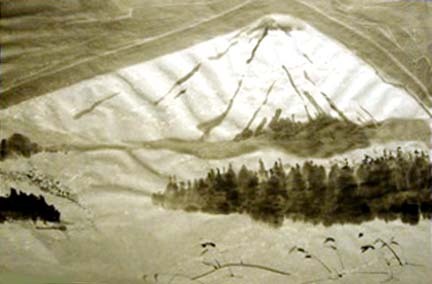 It was awakened in an art workshop taught by Alessandra at the Zen center and the spark became a flame when I discovered Japanese sumi-e painting. 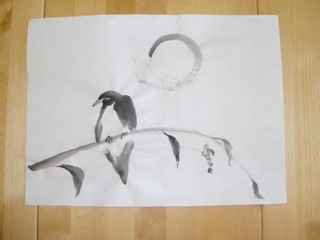 Minimalist and nature-inspired, a technique where every brush stroke counts and taught in a classroom in which the Japanese teacher, Takashi Ijichi, creates a peaceful and concentrated environment, the focus of which is finding your vision and putting it on paper. The focus is on the process, the result is fun and interesting and occasionally even looks good. Everyone’s creation is different and uniquely theirs. It is a discipline but it is not onerous. I take Tuesdays as a day off from work and attend painting class in the afternoon and sit at the Zendo in the evening. The two complement each other; PRACTICE, DISCIPLINE, FOCUS, DISCOVERY—AND JOY. 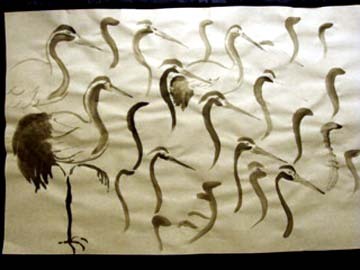 PRACTICE “Practice, practice, practice” my Sumi-e painting teacher, Takashi Ijichi tells us. “Practice, practice, practice” my Zen teacher, Jiyu Roshi tells us. Practice is repetition, repetition is practice. 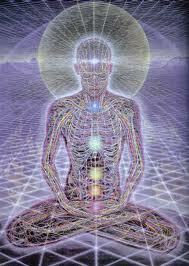 DISCIPLINE Discipline enables the practice, it brings us to the practice in time and in place. It makes the decision for us to come to the practice. Make the time, prepare a place, enable the process: the painting, the sitting, in the art room, in the Zen Center, at home where the place is ready and waiting, for painting, for sitting. FOCUS Pay attention. Be the hawk perched and watching, the flower blooming, the horse galloping, the mountain standing, the fish swimming and leaping, the enso circling. Be one in the moment with the subject of the painting. Be one in the moment in the stillness of sitting. Practice and Be. 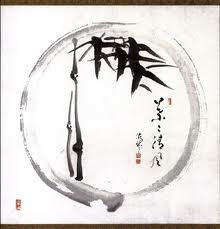 There are 3 main elements to both my painting practice and my Zen meditation practice. The teacher, the meditation practice, and the Sangha (spiritual community) . One on one relationship with my teachers is a very valuable part of both practices. During our Zazen sessions, I meet individually with Jiyu Roshi to discuss my practice and progress. During my painting classes, I meet individually with Takashi Ijichi to carefully observe his painting technique as he paints on my individual tablet and answers any questions I might have about the subject. 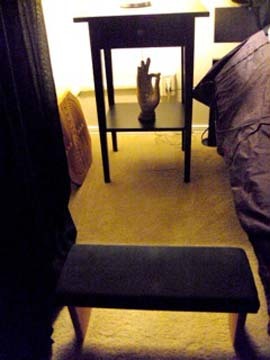 Sitting meditation occurs in the quiet Zendo. 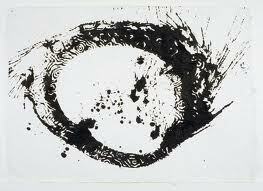 Sumi-e painting is also a form of meditation, we practice in a community library setting. And each activity involves a Sangha, a group of people dedicated to practicing that unique meditative discipline and who become intertwined with each other through that unique practice. DISCOVERY I have discovered that the process, not the results is the important part of these activities. Living in the process and not living for the results enables me to live in the present moment, immersed in the activity. This is very refreshing for body, soul and spirit. And the results are not completely under my control and the results are more often than not, surprising. 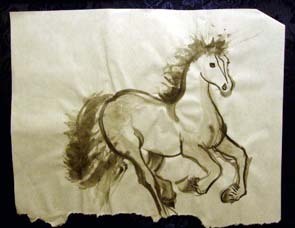 In a painting, the ink may be absorbed by the paper in a very interesting way or the lights and darks of the ink formed a wave of water or a flower petal that I did not plan. In Zazen practice, calmness in the face of a difficult situation or a solution to a previously unsolvable problem may present itself unexpectedly. The terms ‘beginner’s mind’ and ‘non-grasping’ come to mind to describe these occurrences. JOY Joy results in being in the process, in creating, in relationship with my teachers and in relationship with the other students and Sangha members, being a part of a long and honored tradition, passed on person to person, no technology needed! Simplicity indeed! Learning, growing, focusing, practicing, discovering. relating—Life. Right after I posted the video “What is it (Marcel Duchamp)? (see previous Post), my wife called me from Florida where she was visiting relatives. She told me that she had just watched it in the company of her six year old grandniece, Catalina. Apparently after viewing it, Catalina simply said “It’s like kind of crazy”. 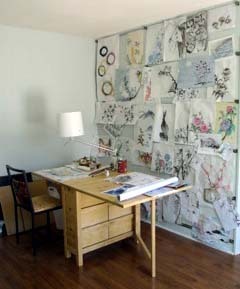 My painting teacher, Sally Pearce, once told me that the most useful critiques of my painting would come from children. So it occurred to me that I should give this comment some thought. The Zen student wrote me that the Buddha’s comments “sounds insane”. Most of us would agree. (For more details see Discussion #3 on the FORUM page of this blog). The other comment was one of those commonly heard observations about the state of the world; i.e. “everyone’s crazy”. This student didn’t really say whether he considered himself in this category or not. Certainly one possible translation of the rapper’s dialogue in the video “What is it (Marcel Duchamp)? could be “IT is crazy”, where IT refers to what Jiyu Roshi often refers to as “the whole ball of wax”. EVERYTHING’S CRAZY! Whether something is considered to be “good” or “bad”, “crazy” or “sane” or “enlightened” or “delusional” depends on how that “thing” is defined. As Dogen and many Western philosophers’ have shown us, definitions are not fixed and do not enjoy complete consensus as to their meanings. 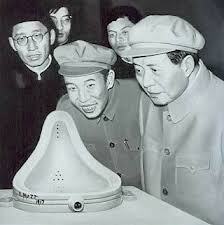 This seems to be the point of Duchamp’s “Fountain”. 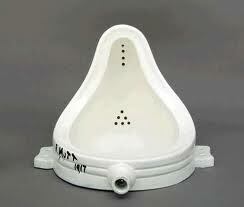 In doing research for the video, I learned that Marcel Duchamp was fascinated by the concept of “transubstantiation“. If you watched the video closely you saw that I played with this concept in the video. According to Wikipedia this term was first, or most famously, used at The Fourth Council of the Lateran (1215) where it was stated that Christ’s “body and blood are truly contained in the sacrament of the altar under the forms of bread and wine, the bread and wine having been transubstantiated, by God’s power, into his body and blood.” From this perspective, the bread and wine are not just symbols of Christ’s body and bread but are his body and blood, although in another form. 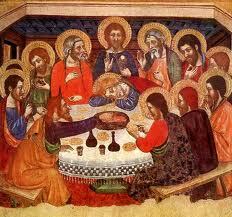 Later, more liberal interpretations allow that the bread and body are symbols or metaphors for Christ consciousness and that what makes this real or true is the faith of the participants in Communion. In other words it is as if the wine was Christ’s blood. When Duchamp entered the urinal in a art show, he was obviously raising the question “What is it?”, or more to the point, “Is it art?” His point seems to be that it all depends on how “it” is seen by the spectators. 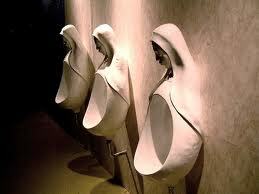 If it is defined and perceived as art, (as if it were art) by viewers, then it will be perceived and responded to differently than if it is seen as “just a urinal”. If something is seen as “art” it brings forth a special mode of attention that is different from something seen as part of “everyday life”. What is the special kind of attention associated with art? Those of you who have been reading my previous post know that is what I have been calling being “present/awake/alive”. As I suggested in an earlier post “Performer/Audience Communication“, some works of art allow the artist and the audience to share this unusual mode of consciousness. 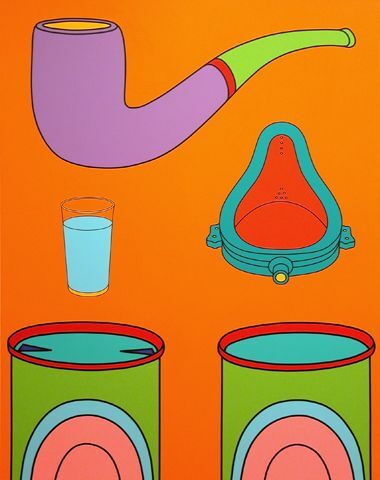 The piece pictured to the left is a continuation of Duchamp’s dialogue by conceptual artist Michael Craig-Martin. 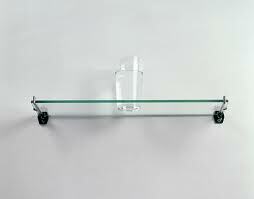 His work “An Oak Tree”, installed in the Tate Modern consists of a glass of water, which the artist has declared he turned into a “full-grown oak tree”, “without altering the accidents of the glass of water” Craig-Martin is claiming that, although the form of the piece looks like a glass of water, it is in fact or in substance an oak tree, which is transubstantiation of the kind that is central to the Christian doctrine. Of course such work is likely to provoke remarks such as “Is it really art?” or “It’s like kind of crazy”. 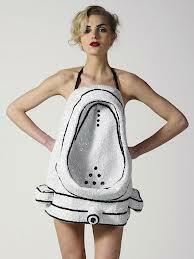 “Consider certain common transactions–shaking hands, eating, saying goodbye– as Readymades (a term Durchamp used for pre-existing “art objects” like the urinal). Their only unusual feature will be the attentiveness brought to bear on them. They aren’t someone else’s routines that are to be observed but one’s own. 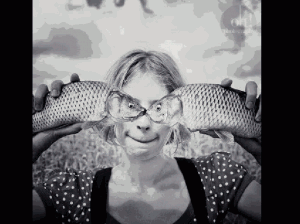 just as they happen”. What Kaprow seems to be saying is that living life attentively is making one’s life an art piece, which begins to sound pretty “Zen-like”. He strengthens this association by writing : “Lifelike art in which nothing is separate is a training in letting go of the separate self”. 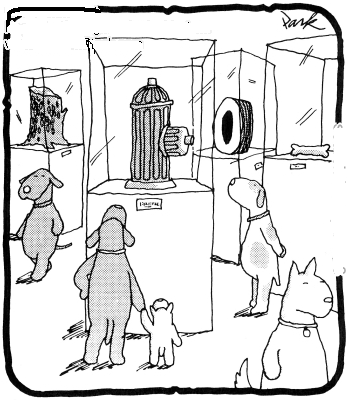 In the next Post, I will explore how the kinds of philosophical discussions prompted by Duchamp and others have been going on for centuries among Zen and other Buddhist’s philosophers. 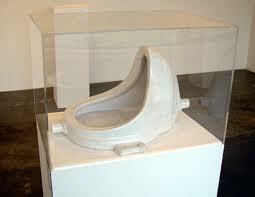 WHAT IS IT (MARCEL DUCHAMP)? 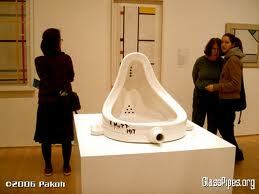 After Duchamp tried to submit a urinal as a sculpture to a pretigious art show in 1917, the art world was never the same. to maximize the stereo quality of the music. Click below to go to Youtube to see the video. Over the past month or so my posts have focused on improvisation in the arts and Zen. This was spurred on by Peter Hershock’s suggestion that the outcome of Zen practice resembles jazz improvisation. This is consistent with much of the Zen literature which paints a picture of the awakened life as one of openness, spontaneity, “choiceless awareness” etc. 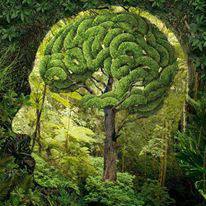 , that results from a “letting go” of the rational mind and the “self”. Relying on more contemporary writers, I have suggested that there is some scientific basis for understanding this process of “letting go”. However, I also started questioning some aspects of this way of understanding what happens during improvisation. This includes improvisation in the arts or in the “social virtuosity” that Herschock says characterizes Zen enlightenment. In this post I continue in this direction and hope to clarify why it is important to be careful about how we talk about this process. In my last post (The Practice of Yes/No), I suggested that while, to both the performer and the audience, it may seem, that there is an absence of left-brain processes with attendant decision or choice-making during improvisation, this is not a completely accurate account of what is happening. Here I want to go further and suggest that, when it comes to the practice of Zen, individuals who subscribe to this traditional idea that “I am no longer making choices”, could end up creating more suffering for him or herself and for others. Although he is not a Zen student, Lance Armstrong’s interview with Oprah about his use of illegal performance-enhancing drugs provides an example of the kind of thinking that can lead to the kind of suffering I am talking about here. In the interview Armstrong said: “At the time, it was easy, it just flowed. I was in the zone like athletes get”. As seen from earlier posts, the Zone or the “flow experience” is one where one temporarily loses the usual sense of self and of being the author of decision-making. It appears that in Armstrong’s case this sense of being free of the usual constraints of selfhood, also was experienced as evidence that he could do no wrong and was not responsible for his own actions. In a recent talk, Jiyu Roshi suggested that something similar often occurs among advanced Zen practioners and their counterparts in other spiritual disciplines and provided examples from his own life. Think of John Coltrane improvising, Jackson Pollack flinging drips of paint over a canvas or Robin Williams doing a stand up routine. They are totally absorbed in what they are doing, manipulating their “tools” with such rapidity that there appears to be no conscious thought involved. It is not uncommon to hear of such performances described by witness or the performers themselves as being “possessed”, “channeled” , “in a trance” or as being expressions of an “inner self”. In all cases, I think, the intention is to convey the idea that whatever is being expressed is not emanating from that performer’s personhood but rather some other source beyond whatever it is we see as responsible for ordinary behavior. 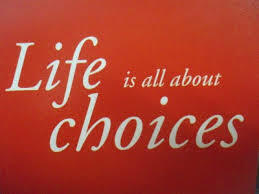 The implication is that there is no conscious thought or conscious choice involved. This sort of language is also used in the Zen literature, as well as in other spiritual disciplines” to describe the state of consciousness and conduct of the awakened life. The social scientific literature on the experience of “trance” is helpful here. 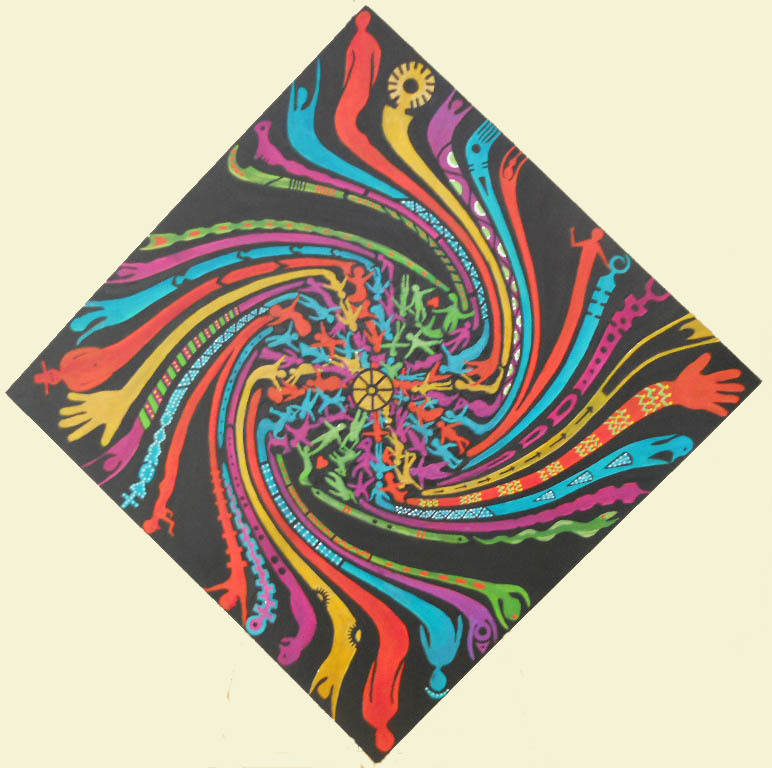 From this perspective a hypnotic trance is viewed as a situation where one person agrees to allow another to direct his or her behavior. Anthropologists have found that “trances” are common in most non-Western societies and are collectively understood to be instances where some external entity (e.g. a spirit) is directing the behavior of an individual. In most cases, when trance is manifested, the person is not held responsible for their actions and becomes eligible for special consideration from the other members of society and especially those designated as healers. The literature indicates that trance is a learned behavior that requires normal mental facilities. What appears to be a relinquishing of normal mental facilities and a sense of self-control is a culturally agreed upon understanding that entails often rather sophisticated mental capacities and maneuvers and does not entail a diminishing of rational thought. What I take from this literature is that there is a propensity to explain the sense that “I” (i.e. my “self”) is not “in charge” by attributing ones seemingly automatic and spontaneous conduct to some external entity or “agent” (to use the language of post-modern scholars), or force or spirit. 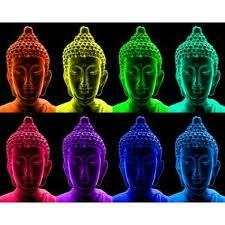 Now, according to Buddhist philosophy and post-modern theory (Buddha might be seen as the first post-modern theorist) , whatever it is we call our self is a social fiction; a convenient fiction that we acquire during socialization to allow us to take part in the social activities of our culture. Associated with this “sense of self” comes an important and necessary (at least for the larger society) sense of responsibility and accountability for one’s own actions. This is what allows “societies” to exist. Those who seemly do not have these qualities are considered sociopaths. 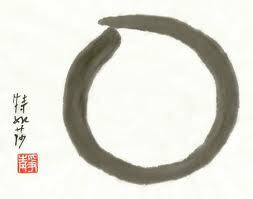 The actual experience of this absence of a substantial self is seen as essential for the progress of the Zen student. But this experience carries with it the possibility of conduct, which may not be fully “sociopathic” but can lead to suffering of others. 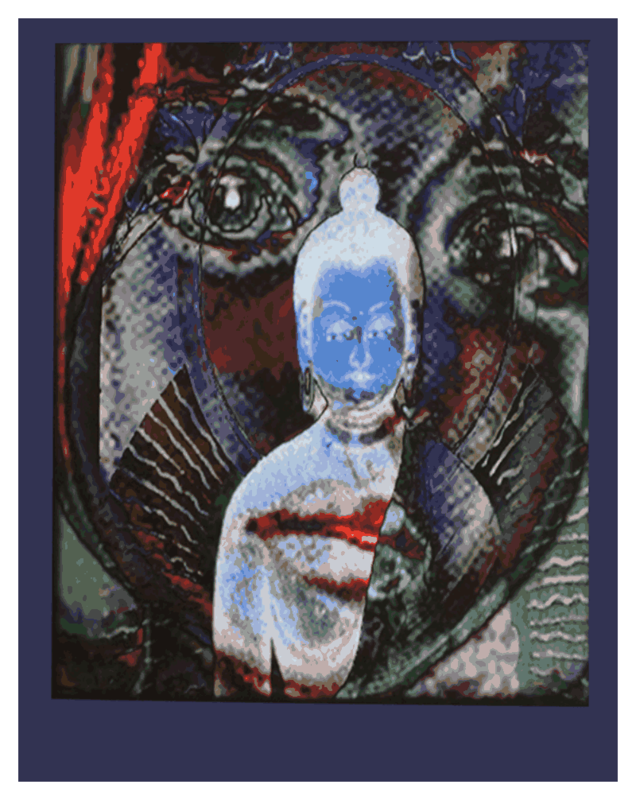 While the language used to describe what is occurring may differ in describing trance, jazz improvisation, comedic improv , expressionistic painting or those who have become awake/alive/present through spiritual practice, these descriptions commonly give the impression that what is happening is not the result of “self-control” or of conscious choice. I suggest that it is necessary to make a distinction between appearances of what is occurring and what is, actually happening. I believe it is possible to preserve the wonder and wonderfulness of improvised performances without fully buying into those explanations that place “agency” somewhere outside (God, spirits, muse etc) or “inside” the person as in references to “inner self”, “real self”, “Buddha Nature” and so forth. Following my argument in the previous post, I see such “inspired” performances as not something other-worldly but rather the result of someone who has practiced their craft to the point where thoughts or choices are executed with such rapidity that they appear to be manifesting from somewhere other than the “self”. Such improvised behavior is not a result of somehow replacing left-brain processes with “right-brain” processes but rather an integration of the two, resembling the expanded state of awareness that Fehmi called “Opened-Focus Attention”. It widens the range of information to be used in decision-making to include various signals or sensations not usually considered to be part of cognition. I suggest that, whether we are talking about improvised behaviors in the arts or as a result of spirtual practice (a la Hershock’s contention that Zazen can lead to “social virtuosity”), the performer is making conscious choices. They are simply being made with such rapidity that it seems that this is not the case. When asked how they do what they do, most Improvisors, in all fields of the arts, will point to extensive bouts of practice that were necessary to be able to improvise. In his book, Ways of the Hand, Sudow describes looking at his hand while improvising and not being able to predict what it was going to do next, and talking about his hands as having an intentionality of their own. But, the majority of the book consists of detailed description of the practice regimen that he, Sudnow, underwent to get to that point. Basically, he describes how he learned to recognize, through trial and error, which possible notes to strike in order to sound good at any point of the songs being played at breakneck speed. My reading of this is that he, and other jazz musicians are making choices all during a solo, but they are happening so rapidly that they seem as if there is no choosing and no one doing the choosing. In the post titled “Yeah Man: Improvisation in Jazz, Improv and Zen“, we saw how comedic impov requires that actors “say yes” to each new possibility from others on stage in order to keep the skit moving. Although Hershock used jazz improvisation as a metaphor for understanding the awakened Zen practioner, I believe that comedy Improv is is a better metaphor because the nature of the verbal exchange is closer to what we encounter in everyday social interaction. The accomplished Improv actor may improvise with such rapidity that it seems that he or she is not thinking. However, the actors must not only think up a possible response to what someone else says but must also think ahead far enough to see whether or not it has the possibility of moving the skit forward or squelching it. 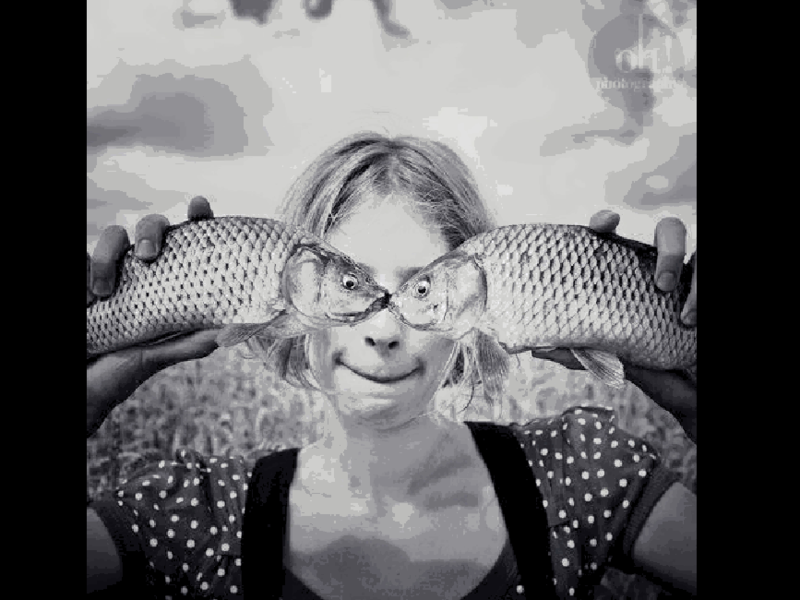 In other words, to say “yes” to the antics of another actor, he or she must filter through possibilities and reject those that may lead to a “no” ( that is, behaving in ways that would put a damper on the other actors and the overall flow of the skit). Let’s imagine that an professional improv actor could within a nano- second come up with a response which he is fairly certain will help keep the skit alive but, almost simultaneously, realizes that the audience consists of young kids and so decides against saying what first comes to mind and allows another response (maybe from another actor) to be expressed instead. 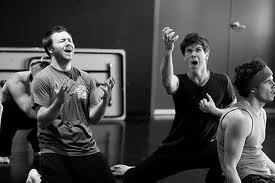 In other words, even the heat of frantic improvisation, actors have the capacity to say “no“. So where is all of this leading? Throughout the centuries that Zen has been developed, the idea that the conduct of the of the enlightened practioner is beyond thought and choice has been accepted. The way that this is generally understood is much more sophisticated than that associated with Spirit possession of Shamanism where an outside entity or force is seen as taking over agency of the person. 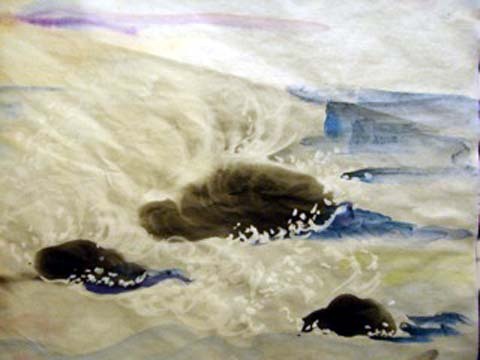 Yet even among the most pragmatic of the Zen philosophers, there is a tendency to rely on the language of mysticism to account for awakened conduct. This is, in itself, not really a problem, because the kinds of “performances” I have been talking about among arts and Zen adepts is truly wondrous and mysterious. However, it does appear that within Zen and other spiritual disciples, problems can arise when the experience of awakening, the sense of no longer being “self”-directed, results in actions which create suffering for the person and others. In his book on creativity, Lehrer talks about the thin line between creativity and other pathological states. 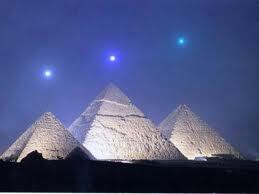 I looked at this in depth in my post called “Sun Ra: The Thin line between Genius, Crazy and Spirituality”. We all know of artists who fit this category. It is also the case that Artists can become addicted to the flow of their improvisations processes (see “Are You A Flow Addict?”) because they cannot flow in activities outside of their specialty. 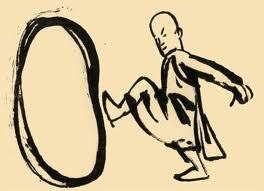 In Zen, however, the aim is to extend the flow of what Hershock calls “social virtuosity” to all aspects of life. It is here where the sense that “I” am not the actor, the chooser or the “decider” could lead to problems if they buy into the believe that they can not or need not say “NO”. Although the Zen practioner may not understand their sense of acting without a “self” as indicating a possession of some sort, they do have to come to terms with what is happening to them. A thorough understanding that whatever was originally experienced as having “a self” is, from a Buddhist perspective, erroneous can help provide one with a grounded sense of being OK with their new way of being. However, it appears that it is not uncommon for someone who has opened up such experiences to begin seeing their actions as part of the natural order of things, (expressions of “Buddha Nature”) and thus inherently valid. The number of spiritual teachers that have supposedly reached an awakened state who and gone on to commit actions that create suffering for themselves and others is staggering. It is for this reason, that over the centuries of it’s development, Zen teachers have placed heavy emphasis on the precepts, which maybe seen as ethical guidelines for practioners. 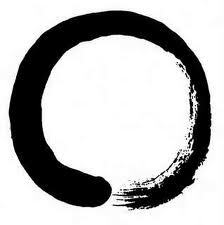 (For a nice discussion of the precepts and their relevance to the Lance Armstrong case, see Sean Voisen’s latest article “Zen and the Art of”. Although these guidelines are not seen as moralistic absolutes (and violations are not considered as “sins”), the fact that they have existed so long in the Zen tradition seems consistent with the view of enlightenment that I am outlining where each action one takes is a matter of making-decisions and choices (albeit very rapidly) and not some supernatural state where actions are dictated from beyond. 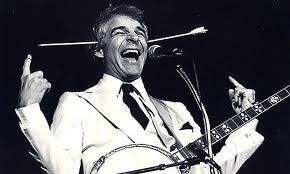 So I am suggesting that in all types of improvisation choices are being made. However, in the case of true awakened improvisation, choice is even more salient because being awake/present/alive means the person is capable of attending to a wider range of data to inform his or her decision-making. 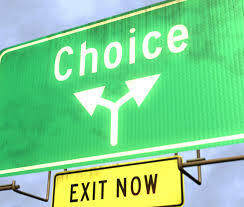 Because the left-brain processes never really go away, there is always the possibility of making choices that are self-enhancing and possibly result in suffering for oneself and others. Because of this there is no end to practice and it is my opinion that those who choose to follow this difficult path do so because they find this constant practice to be a source of flow, finding satisfaction in life by constantly challenging themselves through practice. To begin, let us revisit the work of Lehrer (Imagine: How Creativity Works) which provided a jumping off point for my very first posts on Art And Zen Today. Dealing with jazz improvisation as a form of creative expression, Lehrer cites several studies where scientists were able to observe brain activity while musicians improvised. One of the findings is that while improvising the brains of the musicians showed “a surge of activity in the medial prefontal cortex, an area at the front of the brain associated with self-expression. '” ( p.90) This was to be expected, but they also found shifts in the part of the brain associated with impulse control. When improvising, as opposed to playing a familiar melody, “the musicians were inhibiting their inhibitions, slipping off those mental hand cuffs.” (p.91). 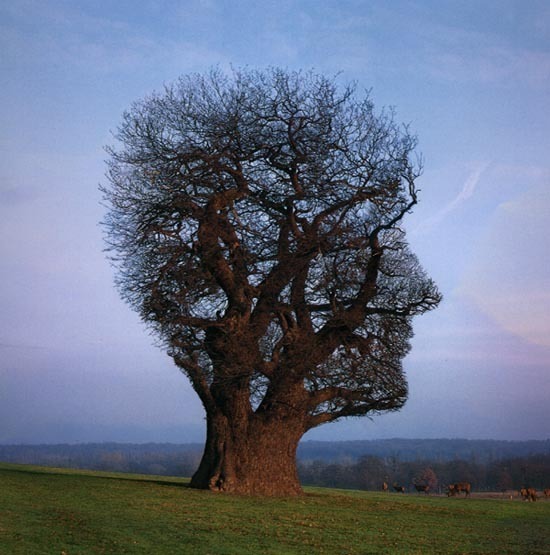 For Lehrer, this is another example of situations where creativity is associated with a process of “letting go”, especially regarding letting go of thoughts about what other people may think about what you are doing. I played drums in bands while in high school and college but didn’t play for about 25 years after that. Shortly after I started playing drums again as an adult, I had the chance to sit in with a band consisting of very accomplished musicians and accepted the invitation with some trepidation. I was especially intimidated by the leader who played the trumpet. Mid-way into the song, he turned to me and indicated I should take a solo. For some reason, I found myself playing the solo striking the drums in a way that did not allow the sticks to bounce; producing a muffled sound instead of the usual resonant ring. I recall that once I started the solo, I conjectured that the leader would not like what I was doing. However, right after that thought, I heard him shout “yeah man”, which gave me “permission” to finish the solo with confidence following my instincts. After the song ended , he looked at me briefly and said “fresh!”. 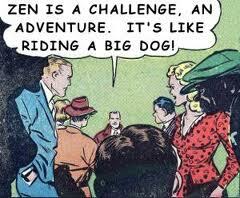 After the incident described above I was motivated to find a jazz group in Philadelphia to play with full time. One of the members of the band was a rhythm guitarist who I and the others judged as not being a good as the rest of the band. During one of our performances, maybe a year after I joined the band, he was taking a solo and I found myself being much more attuned than usual to what he was playing; almost as if he and I were one musician. What was coming from this guy’s guitar was leaps and bounds beyond anything I had heard him play before. As he continued, I opened my eyes, (I usually close them when fully absorbed in what is happening) and saw that all the other members were watching him intently and exchanging glances as if to say “what’s going on here?”. As the guitarist’s solo continued, the others began to utter “yeah man” type of responses and when it was their turn to solo each seemed to perform at a level beyond their usual. Something happened that night, not just at the individual level, but at the group level as well. 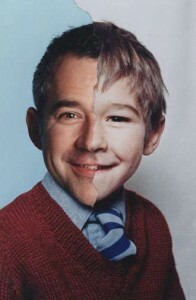 After that, due to the “power of “yeah man”, we were a better, freer and more cohesive band than we were before. I think something like this can happen in a variety of everyday situations and plan to explore further how this may work in the next post. While jazz and comedic improvisation is a useful metaphor for understanding the kind of every day “social viruosity” that can stem from Zen practice, they are not the same. So, I also plan to comment on the differences. 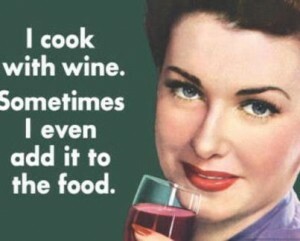 At least that is the plan. But, who knows? I’m just making this up as I go along. 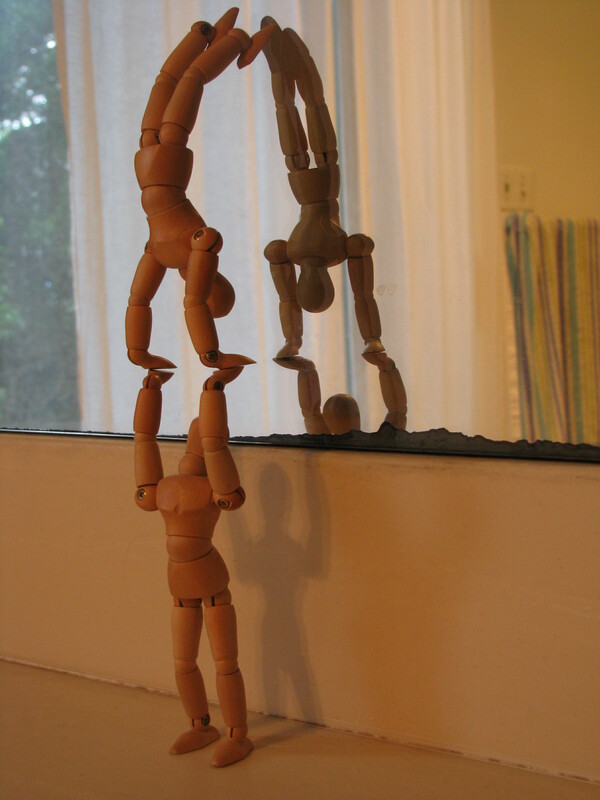 Improvisation or lack of focus????? In the meantime, don’t feel that you have to say “yeah man” to every proposal or opportunity that presents itself. Use common sense and take a look at the movie ” Yes Man” starring Jim Carrey. 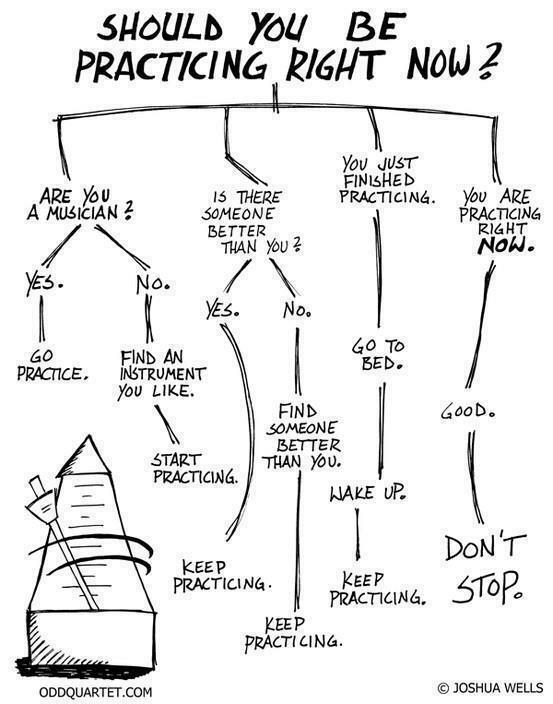 The chart above was sent to me by James “The Sax Guy” who also adds some interesting comments to the previous post. In the last post “Great Unexpectations: Jazz/Zen improvisation“, I pointed to some parallels between jazz and the awakened life, as described by Peter Hershock in his book “Liberating Intimacy”. Hershock points out that Zen practice can lead to a “social virtuosity” which entails being attuned to the needs of others and being willing and able to spontaneously respond in ways that allow for a harmonious social discourse. 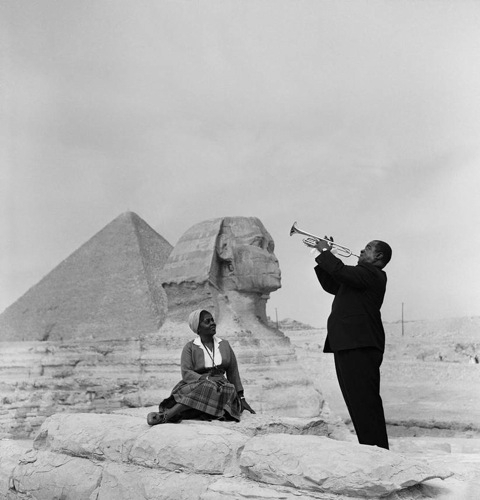 He points out that while jazz musicians are provided a great deal of creative freedom, each is also oriented towards enhancing the overall quality of the band’s performance and suggests that the practice of Zen can also lead to conduct that somehow enhances the larger social whole. Hershock goes on to point out that this “awakened virtuosity” includes the understanding that one will often not be the center of attention. This willingness to “sacrifice” for the larger performance of our collective lives is what he sees as the essence of the Zen enterprise. According to Hershock:….the sincere practitioner must be willing to ‘do’ nothing at all and simply allow his or her life to proceed unchecked. 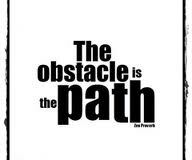 Anything else amounts to holding on (obsessive attachment) and holding off (the arrogance of aversion). Like a piece of improvised music, practice is something other than the sum of its individually experienced, factual or behavioral parts, and there are times when the part ‘we’ play in it seems so infinitesimal as to be no part at all. To extend the musical analogy, practice sometimes puts us in the position of playing a simple rhythmic pattern again and again, subtlety opening up the field of time and space on which we find others soloing, expressing the infinite degrees of their freedom. There is no glamour in this “repetition” no exalted sense of individual accomplishment, and yet it is precisely what is needed at times for the music to come fully to life. While being in the spotlight, as a soloist, is part of what it means to play jazz, it is only one momentary aspect of the whole scene. 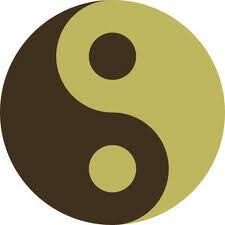 Equally, if not more important, is being able to provide harmonic support for other soloist and the group as a whole. In jazz, as in other fields, “showboaters” usually do not last very long. Hershock seems to be saying that the so-called “enlightened life”, as it evolves through Zen practice, involves “playing second fiddle” in ways that support the free expression of others” as much, if not more than, being in the spotlight. Having played drums in a variety of improvisational groups, I relate to the role of providing unglamorous “repetition”. Except for the rare drum solo, the drummer’s main role is to support the other musicians as they play the melody and take their solos. Primarily this entails maintaining a steady beat, but especially in jazz, it can also involve adding embellishments that add to the overall performance of the group. An accent on the bass drum, a change in dynamics or a riff that responds to what the soloist is doing can add a vibrancy to the performance and can affect where the soloist goes in his or her improvisation. I found that I needed to learn to find a sense of accomplishment in providing this supporting role for the group as a whole and forgo the natural inclination to be “in the spotlight”. The most satisfying compliments I received as a drummer were those from fellow musicians who acknowledged that I was both listening to them and providing support or fodder for their improvisations. In a sense, the appreciation was for my being fully present with the other musicians, doing my part to help them be fully present and doing my part to help “the music to come fully to life” (Hershock). Understandably, this vow raises also sorts of interpretations as to what is meant by “freeing” (often the word “saving” is used) and what is meant by “sentient beings”, as well as questions about the feasibility of such a task. There has been a great deal of discussion about what exactly this vow calls for on the part of a Zen student. However, Hershock seems to argue that, whatever is involved in fulfilling this vow, it does not entail “doing something”. It does not involve the usual, goal- directed orientation that most people adopt when trying to perfect their behavior. Rather it is the Zen practice of “not-doing” that allows one to fulfill this vow; the “not doing” of spontaneously responding to what is in the moment, of improvisation grounded in years of practice. For a more,in-depth and lenthy theoretical/Zen/philosophical discussion of this topic, click on the FORUMs tab at the top of the page and see Discussion #3, COMMENT D.
For Hershock, “social viruosity” or “awakened conduct” consists of spontaneous responses to what is happening in the moment. It is being present/awake/alive, in a way that also allows or encourages others the freedom to be present with the “business” of jointly carrying on their lives in ways that minimizes suffering. DRAMA AND THE SILENT RETREAT?